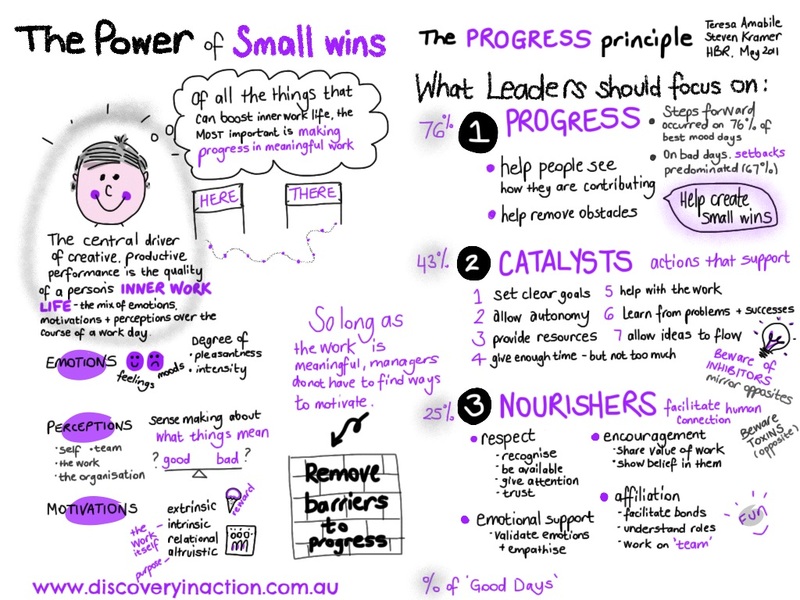 Our DiA program participants will have heard about the ‘progress’ principle. We share the discovery of Professors Amabile and Kramer (in the ‘Inner Work Life’ HBR 2007 article), that the single biggest driver for someone having a ‘good day’ was whether they made progress on meaningful work. 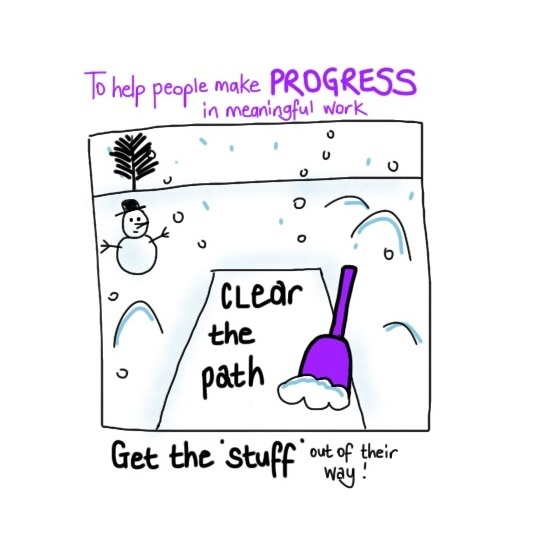 On 76% of good days, people made progress on meaningful work. On 43% of bad days, people had set backs. What does this mean? The major message for leaders was for them to work out how they can positively contribute to people having more good days by ‘getting the stuff out of their way’. b) positively influence the emotions, perceptions and motivations – each person’s inner work life. Click here to access a link to the original HBR article. Once you have read it, consider the following visual story to summarise the key points. Click here to access a simple daily checklist to help you assess what influence you have had each day on helping people achieve excellence. 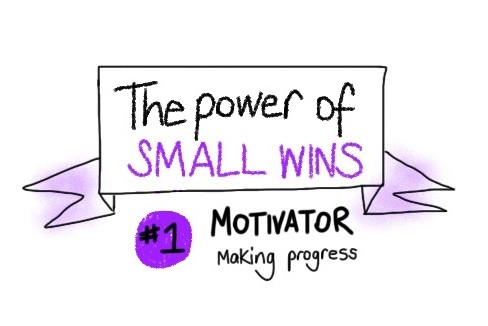 Click here to access a video on the ‘power of small wins’.